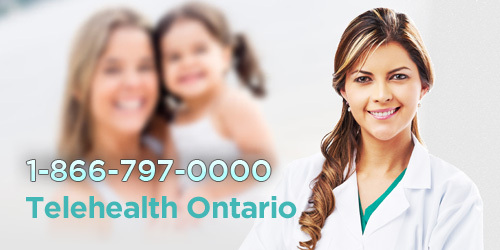 For most of our programs and services a referral is required by your Family Physician. If you see a program or service you would like to participate in please advise your Family Physician or their RN, NP or Physician’s Assistant and they can make the referral for you. You can find the PrimaCare physicians’ contact information in our Contact page. We have an After Hours Clinic which accepts both appointments and walk-ins. The clinic runs from 5 PM to 8 PM for more information please click here. If you require urgent consultation outside office hours or on the weekend or statutory holiday, you can call the Telephone Health Advisory Service at 1-866-553-7205. A call to Telehealth Ontario does not replace 911. So, please call 911 immediately or go to the nearest emergency department in case of an emergency. If you feel your condition may be life-threatening, call 911 for Emergency Medical Services. If you are unable to attend your scheduled appointment or need to reschedule appointments please let us know at least 24 hours in advance. Appointments are in high demand; your prompt cancellation will give another patient the opportunity to see the medical professional. You may cancel or rebook your scheduled appointment by calling 519-442-9834, and either by speaking with a medical receptionist or leaving a detailed message. When leaving a message, please give your full name, telephone number, and the appointment type, date and time. Missed appointments may prevent other patients from accessing much-needed care. Not adhering to the advance notice policy could result in less sessions with the medical professional. Wednesday, Thursday : 9:00AM – 12:00PM.